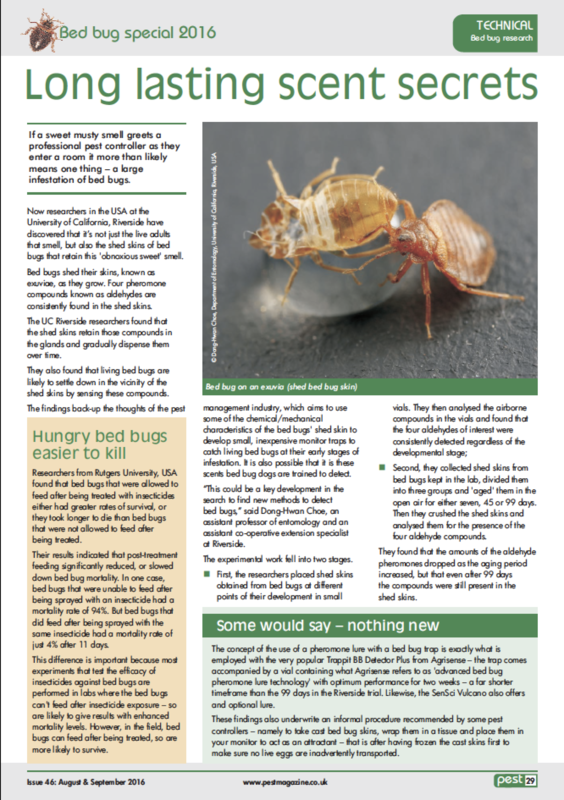 To obtain the PDF of the article, please click this link. 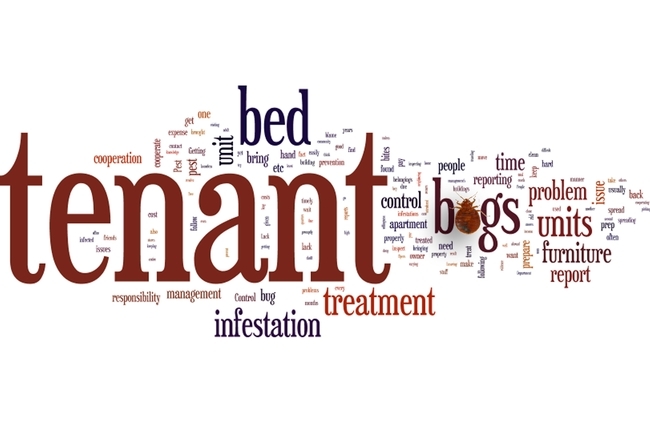 A new work from our group is about chemical ecology of bed bugs. RIVERSIDE, Calif. (www.ucr.edu) — Researchers at the University of California, Riverside have discovered the shed skins of bed bugs retain the “obnoxious sweetness” smell often associated with the pests, a finding that could potentially be used to combat infestations of the insects. 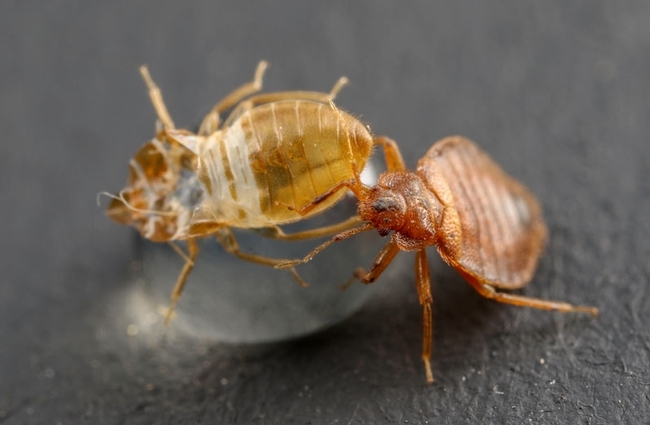 Bed bugs shed their skins, known as exuviae, as they grow. 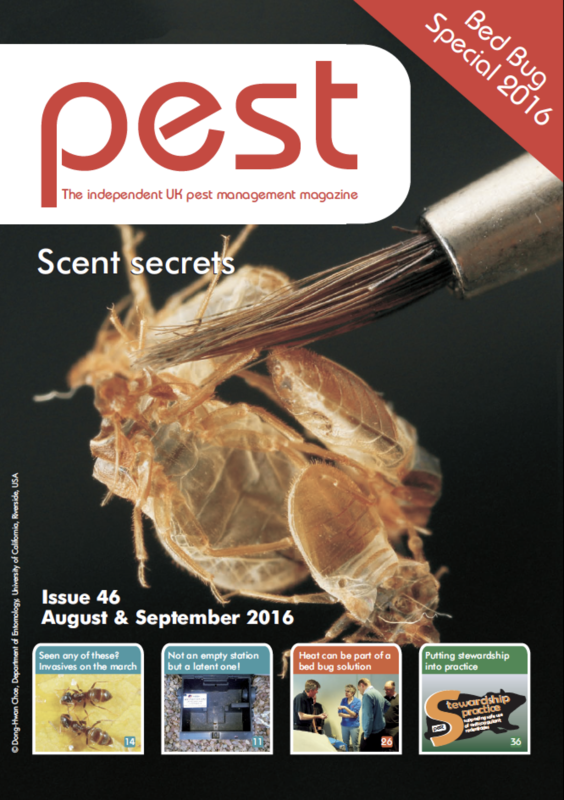 Four pheromone compounds known as aldehydes are consistently found in the shed skins. 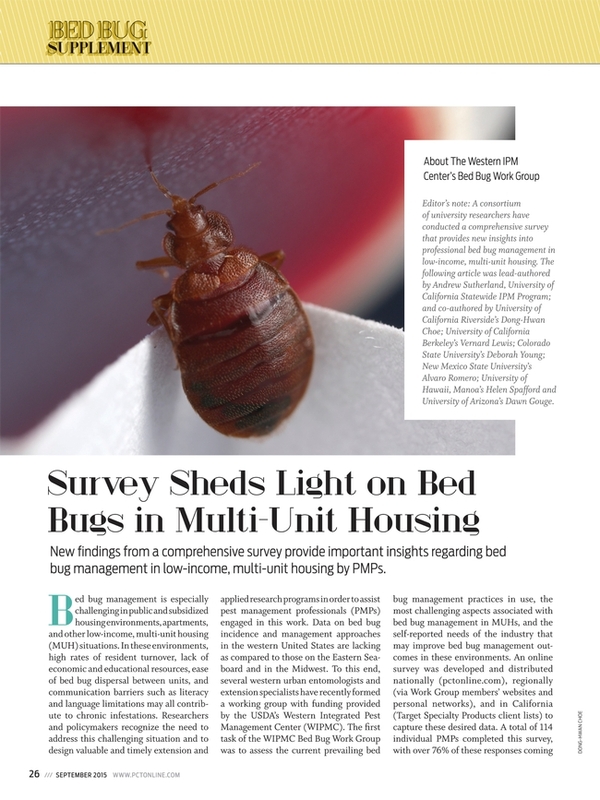 New findings from a comprehensive survey provide important insights regarding bed bug management in low-income, multi-unit housing by PMPs. Or, for the digital version of the Pest Control Technology magazine, click here (see page 26).